SEATTLE, Nov. 5, 2012 /PRNewswire/ -- Boeing (NYSE: BA) today delivered the 7,370th 737 to come off the production line to Indonesia-based Lion Air. 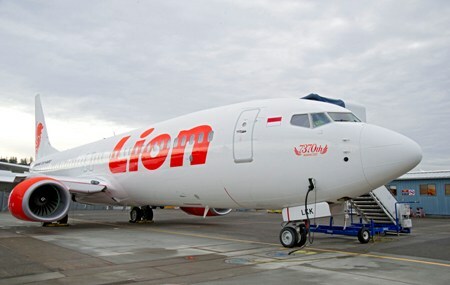 The airplane is Lion Air's 75th Next-Generation 737. The Boeing 737 is the best-selling commercial jetliner of all time with total orders exceeding 10,100 airplanes, including orders for the new 737 MAX.